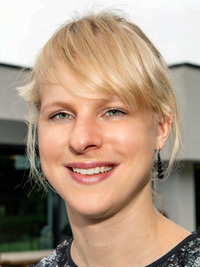 Dr. Marloes Peeters is a lecturer in chemical biology at Manchester Metropolitan University. Her research focuses on developing new bio-sensing platforms for the detection of biomolecules. Marloes is an active participant in science outreach events and also works collaboratively with artists. Marloes is speaking at the Newcastle Soapbox Science event, which takes place on Saturday 17th June 2017 at Grey’s Monument, Grey Street in the city centre. The title of her talk is: “Human vs superbugs: screening for bacteria with thermometers”. I studied chemical engineering at Eindhoven University of Technology (the Netherlands) and did not like lectures on biochemistry at all – I preferred process technology and polymer synthesis. This changed when I moved to Belgium where I did my Ph.D. in a biosensor group and developed polymer-based sensors for medical applications. 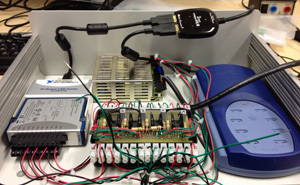 I started working together with a gastroenterologist and while he did not understand the ‘chemistry’ part of my project – he had a very clear application in mind for the sensor we were developing. We started working with patients and I think that triggered me to move towards chemical biology (medical applications), as it has a clear societal impact and it feels that you can make a difference in people’s life. My Ph.D. was followed by a fellowship in the same group and then I made the big move across the ocean to Queen Mary University of London, to become a postdoctoral researcher in an organic chemistry group. The biggest challenge came when my supervisor suddenly moved to Aberdeen three months after the start of my postdoc. Luckily, a friend of mine pointed out the vacancy at Manchester Metropolitan University (MMU) where they were looking for someone with expertise in chemistry and biology, which was a perfect fit for my research background. Since 2015, I am lecturer in MMU where I have my own research group that focuses on biosensing. My time is divided between teaching, administration and research. 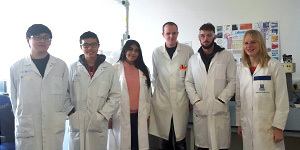 During term time, the focus is on teaching and I am involved with all pharmaceutical chemistry units. 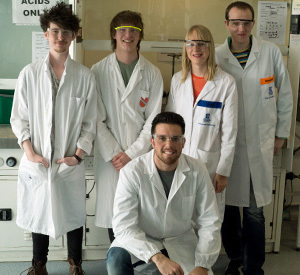 In addition to that, we have project labs where students do their own individual research projects and I help 1st year students to synthesise aspirin in their organic chemistry lab. I try to stop by every day at the lab to see how my research students are getting on (one Ph.D. student, two postgraduate students and two exchange students) and we have weekly supervisory meetings. Outside of term time, my role is completely different and I am often away from the university to visit conferences, write grant applications, and short research stays with collaborators, such as at Newcastle University (Where I spent six weeks). Recently, I did a week-long Erasmus exchange at the University of Antwerp (Belgium) and it was a very interesting experience from which I learned a lot. I studied chemical engineering and at my university, we only had five female students out of the 60 students in total… On average only 50% of the students actually get their degree, but I am proud to say all five of us did finish. This means as a woman you have to be determined to study engineering since it is generally considered a ‘difficult, technical’ degree and it was definitely not highly recommended at schools. 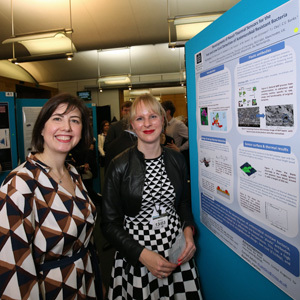 It is good to see that times are changing and I now at the moment – the levels of women in STEM subjects is increasing. In my current role, there is almost a 50/50 division of men / women if we look at the group of lecturers. However, even though my Head of School is female, I think we could do with more women that are higher up in the ranks (and I have some very talented female colleagues). I find it very difficult to give good advice – I think if you work mainly with men, you (as a woman) are bound to do things differently. And that is ok – I don’t think I changed my ways just to blend in with the rest. I think that also helps you stand out and your colleagues will respect you for following your own path. Biosensing is a very broad area – recently, I have been focusing my research on the detection of antibiotics and antimicrobial resistant bacteria. The World Health Organization has declared that antimicrobial resistant bacteria pose a fundamental threat to human health and this makes it a very timely, societal topic that affects all of us. We are all partly responsible for the rise of antimicrobial resistant bacteria – think about the level of antibiotics that are used in the food industry or for treating of simple colds, where use of antibiotics absolutely not required. In my talk, I will mention how we can detect traces of bacteria with simple thermometers and ‘plastic’ sensors (I will bring them with me so feel free to try it out!). 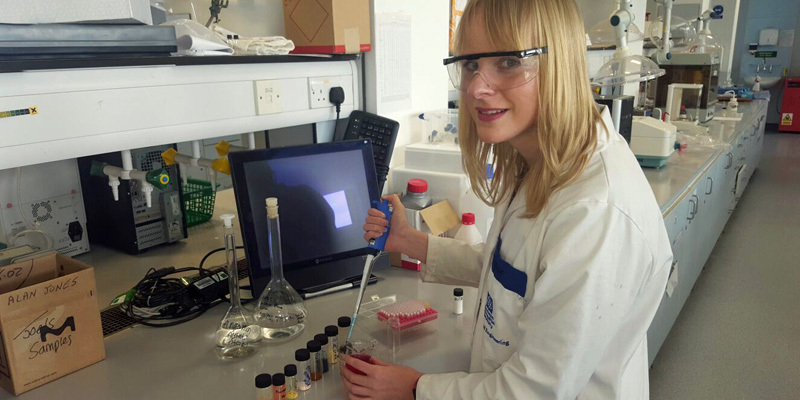 We will have a training session at Newcastle University and I have been doing other demos at women in STEM events, which I hope will be a good preparation but I don’t know what to expect – I just hope it is not going to rain on the day! A picture is worth a thousand words, as they say. Just by talking, you might not be able to convey your message to the public. Art, such as dance, music or sculptures, can really give additional impact to your work. It also forces you to look at your work from a different angle and take new directions you never thought of. And last but not least, it brings a ‘fun’ element to science and this is just what you need to get young people interested in science. It seems like society, and politicians, have forgotten what vital role science plays in our lives. Every modern technological development, such as mobile phones, was driven by scientific research. With Brexit and the upcoming election, it is very important to highlight that. My old supervisor used to say you should be able to explain your research to your grandmother. I don’t think I manage to do that, but I can explain her why it is important. For many reasons, I think there should be laws on traces of antibiotics residues in food and drinking water. If you know how many calories you are consuming, surely you would like to know what else is in your meal? I have an exciting and busy summer ahead – first, I am going to Washington where I will present at the Biodefense World Summit about thermal sensors for the detection of pathogenic bacteria. As part of this trip I was invited to the labs of the Food & Drug Administration, which will be a unique opportunity to get insight in how clinical trials work (which I am actually teaching at the moment). Secondly, I am going to Brazil as part of the Young Observer’s Programme of the Royal Society of Chemistry. Finally, I am organising the Bioinspired Materials conference with colleagues at Manchester Metropolitan University, which will bring together early career researchers in the field of tissue engineering, materials science and biosensors. In terms of my research, I hope that one day the sensors that I have developed will be commercialised and will be used in the food industry or in hospitals.